Hello -- happy Monday! July's Fresh Mini Quilt Club mini quilt design, Fireworks, was sparked by my love of the traditional flying geese block. Each new color radiates from the center star, just like a firework in a night sky! 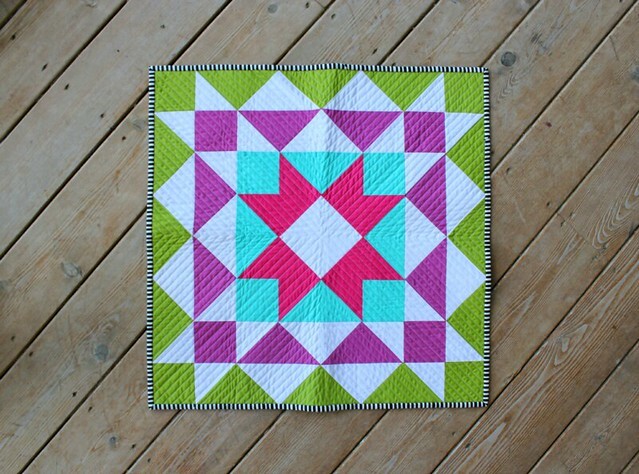 The mini quilt design features 4 prints + a background fabric. Just like with the previous months' finished minis, I used Pure Elements solids from Art Gallery Fabrics. The saturated & vibrant colors of the Art Gallery solids are a favorite! Sticking with the radiating design, I quilting a large "X" through the center of the mini quilt and continued with 1/4" straight-line quilting to the edges. 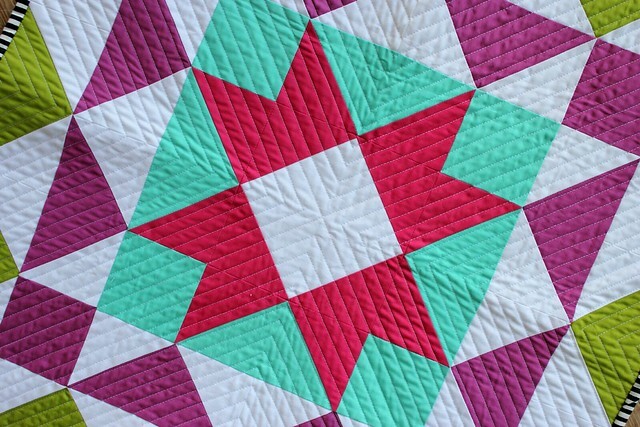 This slight variation on the typical straight-line quilting technique makes for a fun + simple way to finish any quilt, large or small. I quilted the design using a 50 wt. Aurifil thread (color 2024) & my BERNINA walking foot -- those two make quite the pair! This black & white binding fabric is quickly becoming my favorite! It's an older Moda print (unfortunately long out of print) and the strips make for a great binding. 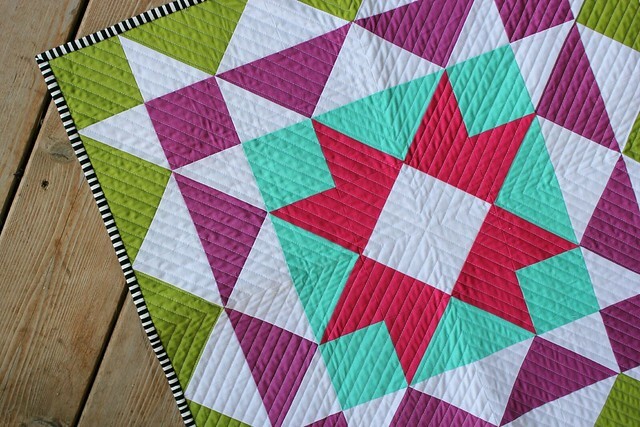 If you'd like to sign up for the Fresh Mini Quilt Club, there's still time! Find more details here. The finished mini quilt measures 24" x 24". "Fresh" definitely describes this beauty. Aaand the quilting is so complimentary to the design. Aaaaaand Art Gallery solids rock my socks off! We here at AGF love it! Thanks for using Pure Elements! 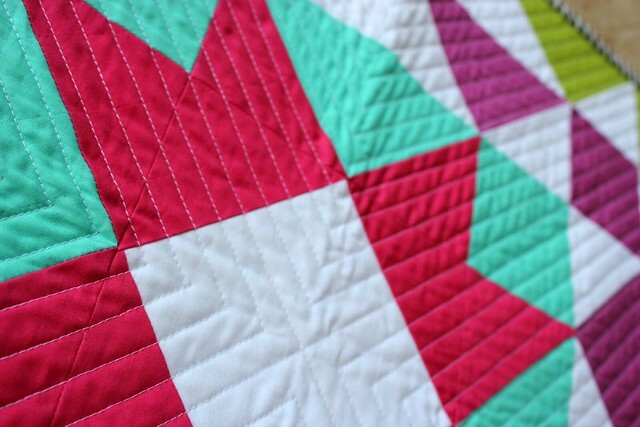 Love the colours and the quilting! Great job! L o v e !!!!!!!!!! !